West Virginia-Some good news for WVU on the recruiting front. Highly rated Virginia Wideout Logan Heastie says he is still solid with WVU, even though his friend QB Tajh Boyd backed out of his commitment. We will see if this holds up, but the Mountaineers can ill-afford to lose big-name recruits for the second year in a row. UConn-Desomnd Conner of the Hartford Courant, breaks down the bye week, and starts to preview this week's game against Rutgers. One topic on conversation is if the Rutgers-UConn game is a rivalry yet. South Florida-George Selvie says he will play this week against Syracuse. That's not good news for the Orange...but, really what is good news for the Orange? Cincinnati-Congrats to the Bearcat athletics...they actually have a higher graduation rate than the normal student population. The latest numbers are from the 2001-2002 season, in which the football team graduated 86% of their players. Props to the 'Cats. Pitt-Interesting article from espn.com where it talks about the lack of big-time instate recruits staying in PA to play for Pitt or Penn State. Pitt has been off to an abnormally slow start to recruiting this season. 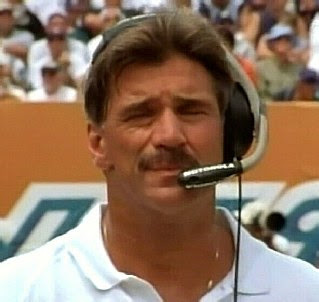 Dave Wannstedt may not be a great coach, but he has been able to drop the hammer on recruiting. Rutgers-Should Mike Teel still be the starter? The Star Ledger's Tom Luicci breaks down the numbers.